Open Geneva is a non-profit association whose mission is to promote and stimulate open innovation in Greater Geneva by bringing together innovators, bringing their ideas to life, communicating their projects and supporting their development in the fields of art, the science, technology, and society. 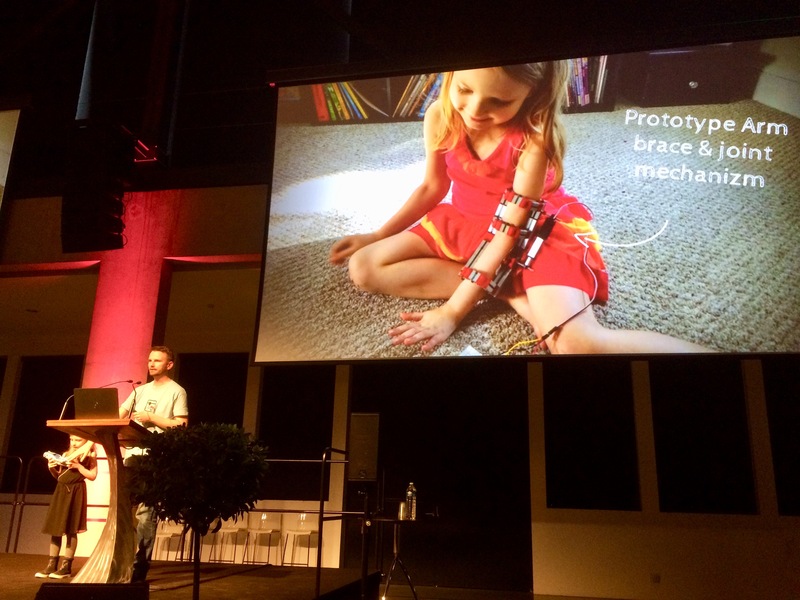 The main activity of Open Geneva is the organization of the Open Innovation Festival in Geneva. During this festival, public institutions, universities, research centers, companies local and multinational organizations, associations and citizens organize moments of innovation and sharing, such as workshops, hackathons, and lectures. Open Geneva was created in 2015 by the Geneva Creativity Center to promote open innovation to improve the quality of life in Geneva. During the first edition, several teams of students worked for two weekends on scientific projects and innovations social and technical issues related to energy, health, mobility. The 2016 edition has broadened the profile of its participants and focused on health, in close collaboration with University Hospitals Geneva. 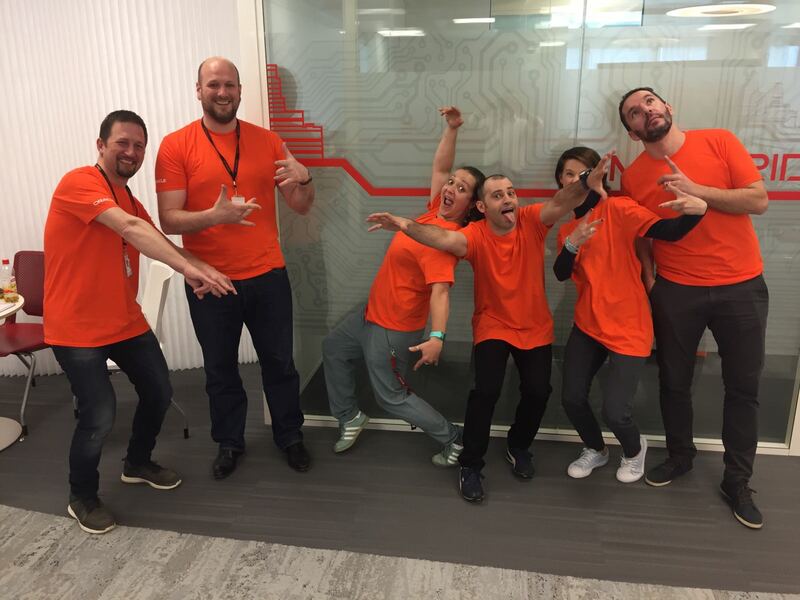 Open Geneva became a Hackathons Festival. 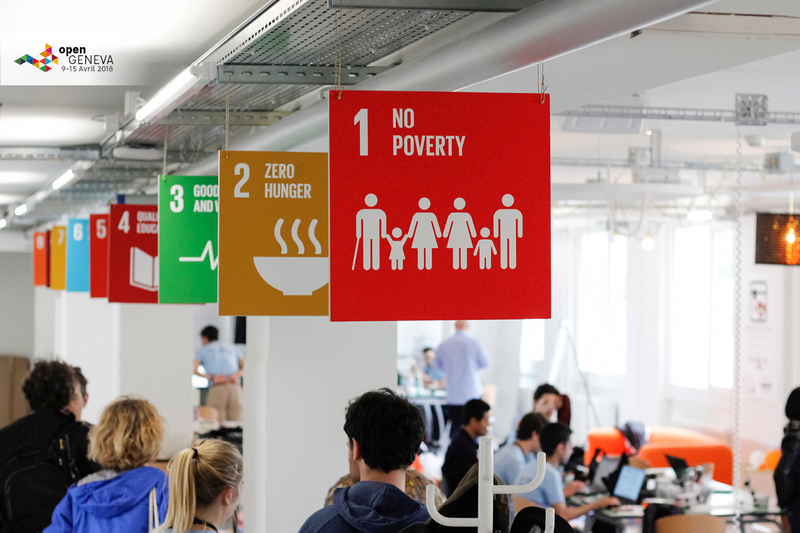 Thanks to the support of Digital Strategy of the University of Geneva, more than 21 initiatives were launched from 12 to 14 May, involving schools and research centers, administrations and companies, public and private structures. Around 400Participants from all profiles have developed more than 50 innovative projects, some of which continue to grow. This spontaneous craze is a confirmation: there is a real desire for open innovation in Geneva, it is, therefore, necessary to accompany it. 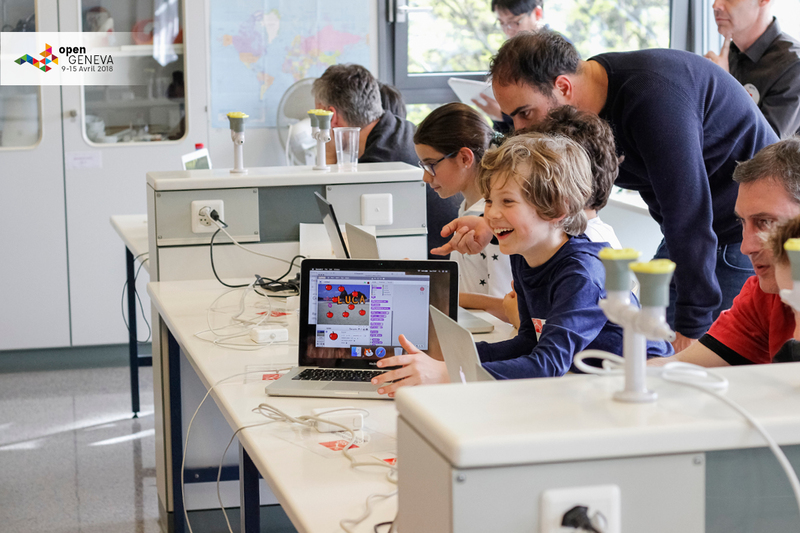 For its 4th edition, the open innovation festival Open Geneva took place from 9 to 15 April2018 and brought together nearly 800 participants in 31 hackathons and co-creation moments, and about400 participants at various events, such as conferences, workshops and open houses, as well as event to close the week and present the achievements of the challenges (Hack Show) on Sunday April 15th. The Festival will run from March 18 to 24. For a week, hundreds of participants from all walks of life, with skills diverse and complementary profiles will come together to imagine innovative solutions to proposed challenges. Medicine, smart city, social innovation are some examples of scientific, technological and societal fields that will be the focus of this effervescent intellectual. 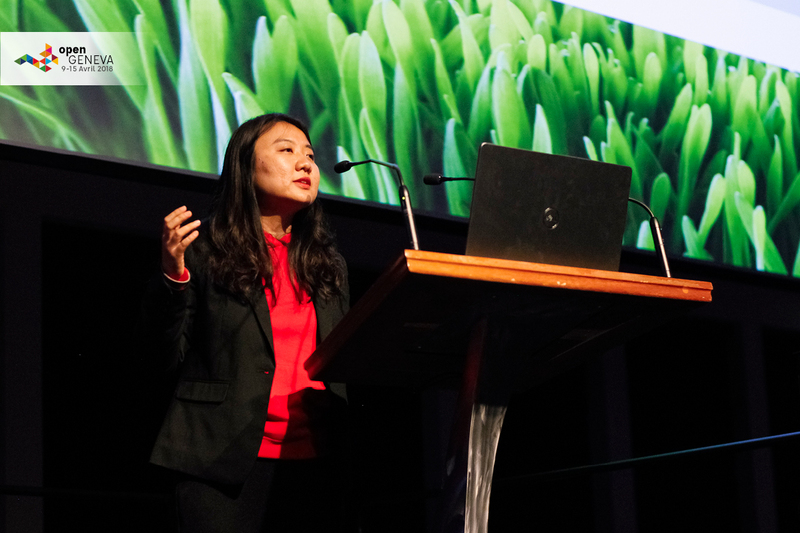 Hackathons, workshops, open houses and conferences: the open innovation festival in Geneva will bring honor collective intelligence around shared values and creativity. 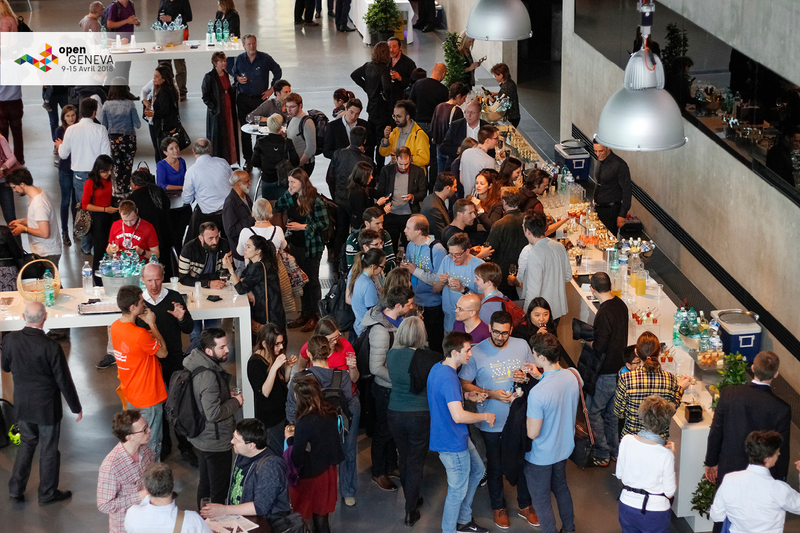 Check out our activity report to review the success of the 2018 Open Geneva Festival. You can find the list of hackathons that made the program of the festival. 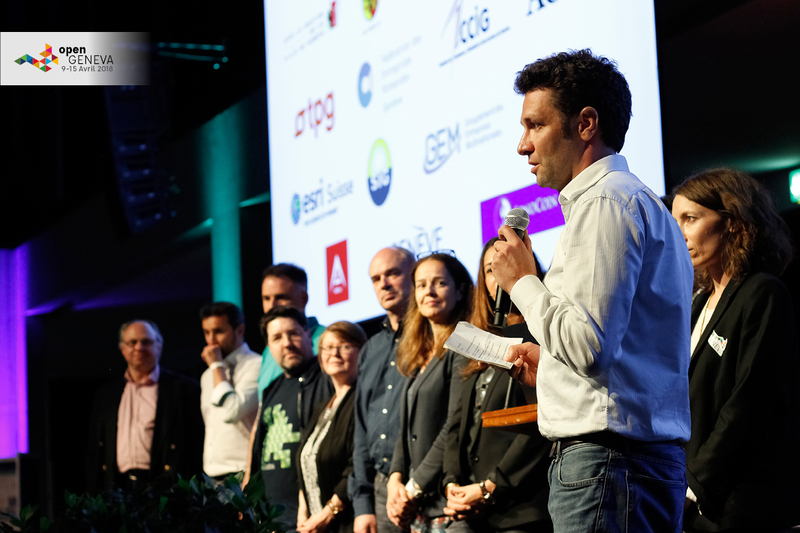 Open Geneva was incorporated as a non-profit association (statutes) in October 2017, with 13 founding members representing various institutions (academic, private, semi-public and public sectors) among the most dynamic and innovative Geneva. 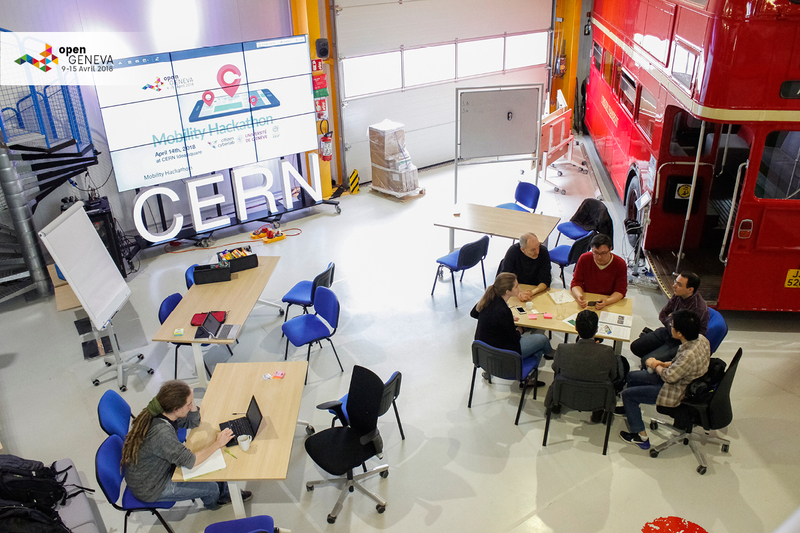 One of the strengths of Open Geneva is the mobilization and animation of a living community of actors from innovation in Geneva (hackathons organizers, project leaders, accelerators, etc.) throughout of the year, in order to circulate the knowledge, the resources, the feedback and to encourage the knowledge sharing. 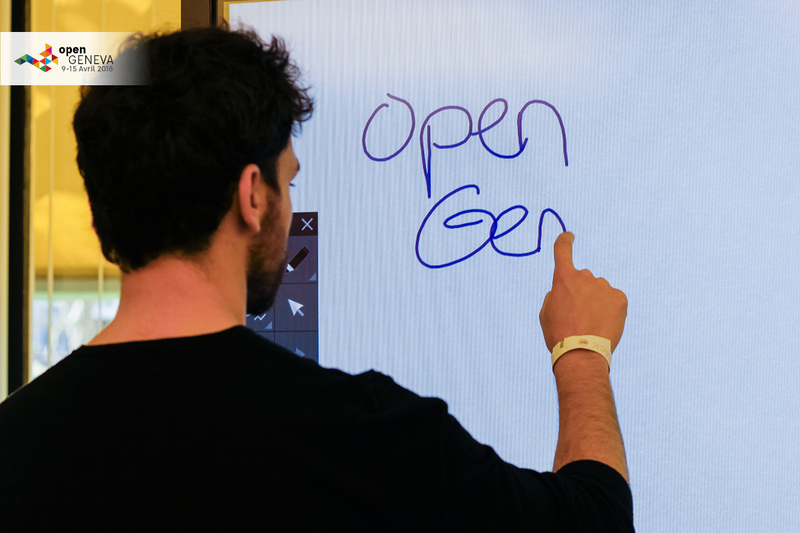 One of the added values of Open Geneva is the provision of a web platform, the Sparkboard, which facilitates the organization of hackathons, document projects, track and view them online, and create a direct interface between the different actors in the community, including the regional acceleration programs leman. Open Geneva develops and improves this platform continuously so that it can best adapt to the needs of innovation actors. The “Sparkboard User Guide” will help you make the most of the platform, no matter what your user profile (hackathon organizer, project leader, accelerator, media). A project does not exist if we do not talk about it. Be it within the community of innovators, in the partners, the projects must be visible to find resources, be they technical, financial, human, logistical, etc. Open Geneva develops tools and events with many partners, including media, to promote projects and open innovation. What do those who support us say about us? Innovation is especially important for the Swiss economy, which is based on products and services high added value. By pooling knowledge, creating synergies between people or institutions that would not normally come in contact, open innovation is an effective way to respond intelligently to the challenges of our time, be they economic or social. It is also a tool particularly suited to SMEs. It is for all these reasons that the CCIG is a partner of Open Geneva since last year.